In case you couldn’t tell FirstDown PlayBook has been coming at you this week from the road. 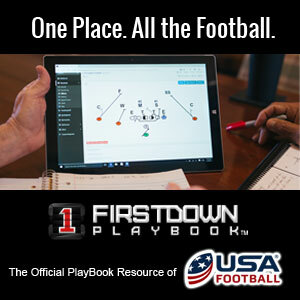 Trust us when we say that you are going to be glad we have been, because some of the work we have done this week is going to totally change how you look at and use FirstDown PlayBook. All of the road work has not stopped us from pumping out some great content for you however. On Thursday and Friday for instance we worked on some Flank formation play-action passes for you just like the play here in today’s Coaches Community post. You have heard us say before how potent we think Flank formation can be for an offense because it poses such a threat for the run on the two tight end side and still offers great two man route combinations to the passing strength with the X and Z. In this play-action pass double dig play below you also put the weak side linebacker or the safety in a huge bind because the defense is more than likely counting on them to be the defensive player that they funnel the ball to on the weak side inside zone play. Because of this you can bet the curl defender to the open end side is going to be quick to pull the trigger once run shows right at them out of this formation. Even if the Will linebacker reads the play-action fake and drops there are still two receivers running right through the weak side curl zone. At the end of the day, this play makes it hard for the linebacker or safety to the two receiver side to be right. 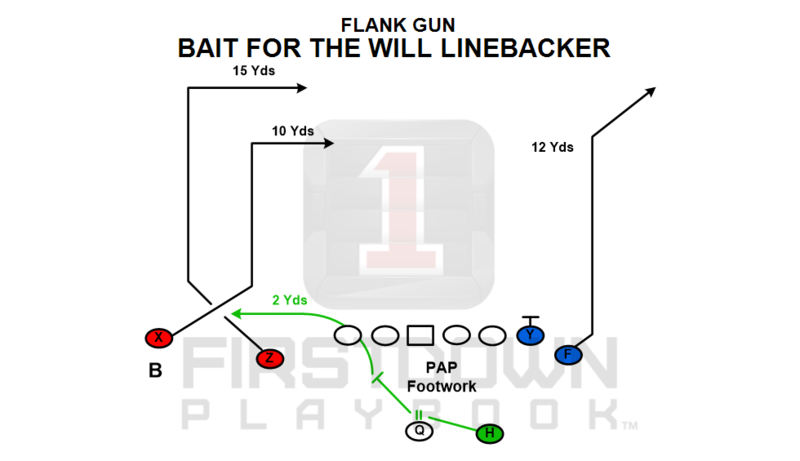 BANG ON THE PLAY BELOW TO GET THE COACHING POINTS!